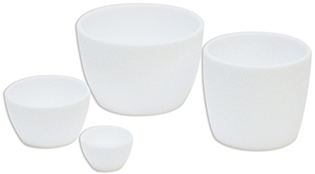 850-40P Platinum Crucible, without lid, 40ml each P.O.R. 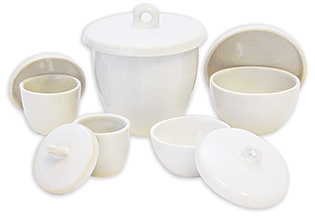 850-50P Platinum Crucible, without lid, 50ml each P.O.R. 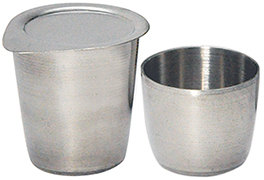 850-100P Platinum Crucible, without lid, 100ml each P.O.R. Medium resistance to dilute sulfuric acid, acetic acid, boric acid, organic acids and low concentrations of sulfates, phosphoric and bromide solutions. 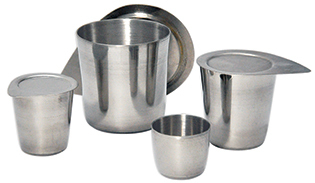 Available in stainless steel and nickel plated steel.